Each 3D printer model operates with its own software in order to print out, but they might look fairly similar. 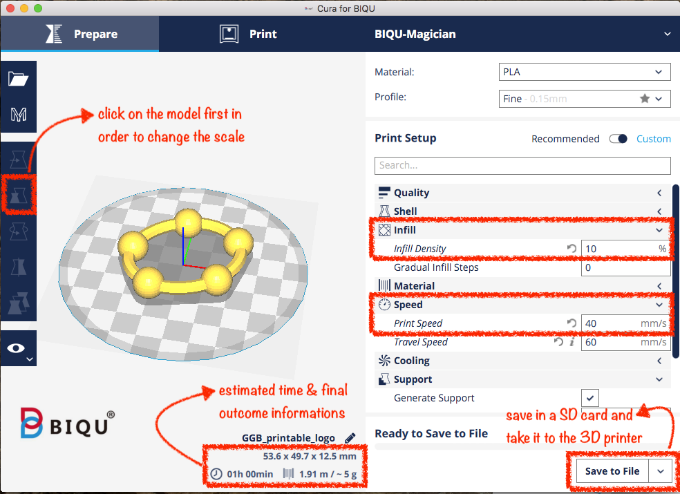 Some basic features that you can set in order to get nicer outcomes and also balancing the performing time are Scale, Infill Density and the Print Speed for instance. Most of the 3D printings in this book were printed out using CURA for BIQU. More details you can get in Joining us in collaborative group.